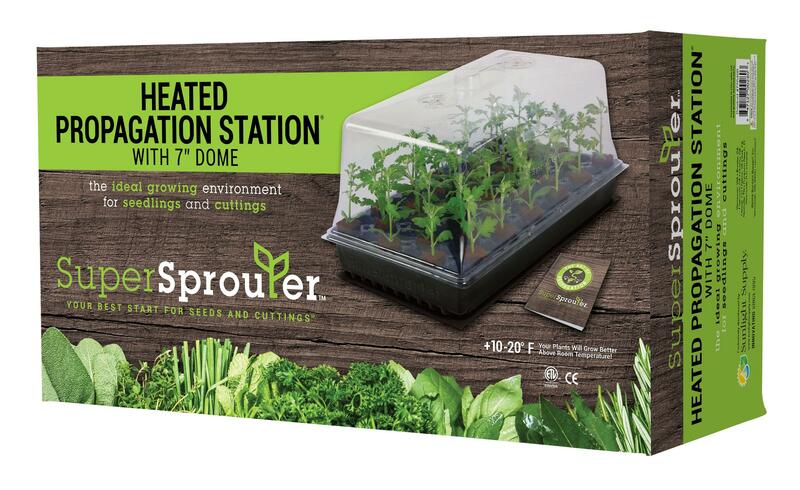 Start your growing season early with everything you need in this kit to start your seedlings. 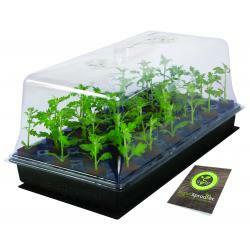 It is proven that seeds grow better with ambient temperatures 10° - 20° F above room temperature. 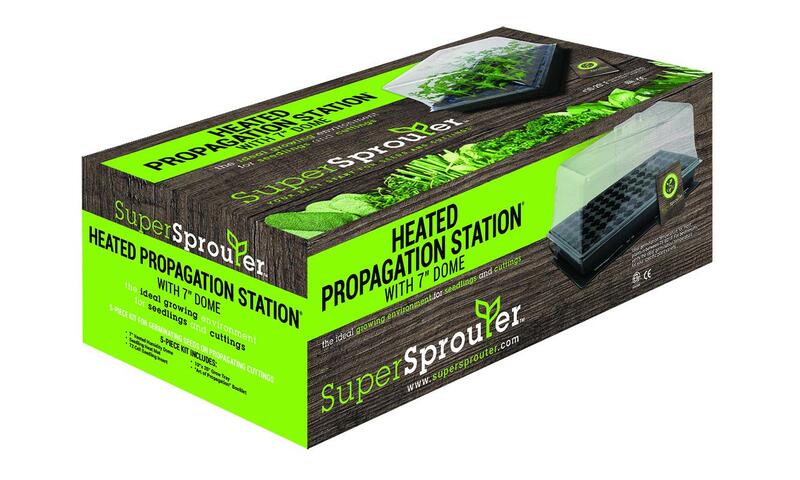 The Super Sprouter® Seedling Heat Mat will provide even warm temperatures for your plant starts. 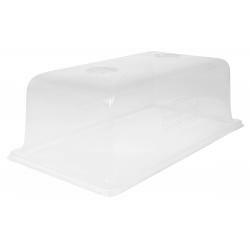 The 7 in dome will give your plants more room to grow with humidity control. 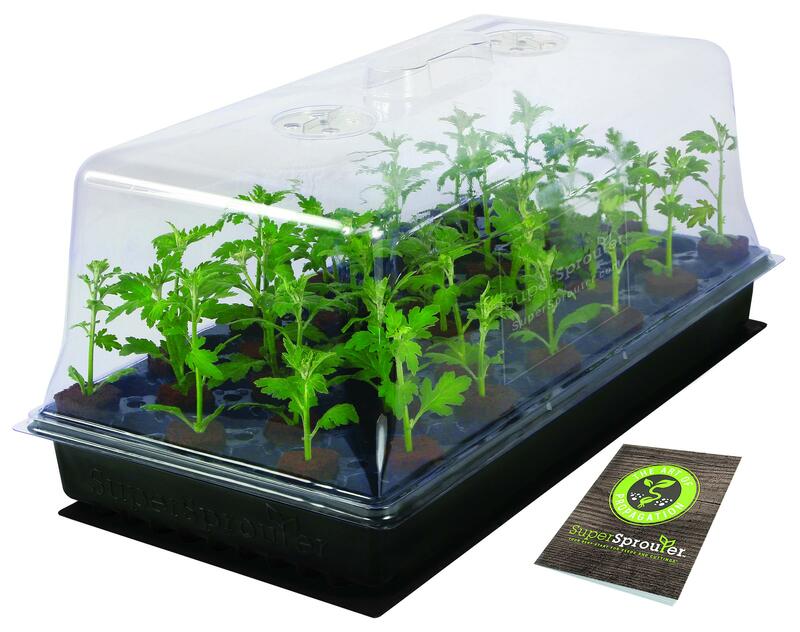 Kit includes: Super Sprouter® Seedling Heat Mat 10 in x 21 in; 72 site Seed Cell Tray Insert; 10 in x 20 in Propagation Tray; Humidity controlled Super Sprouter® 7 in Propagation Dome with Vents. 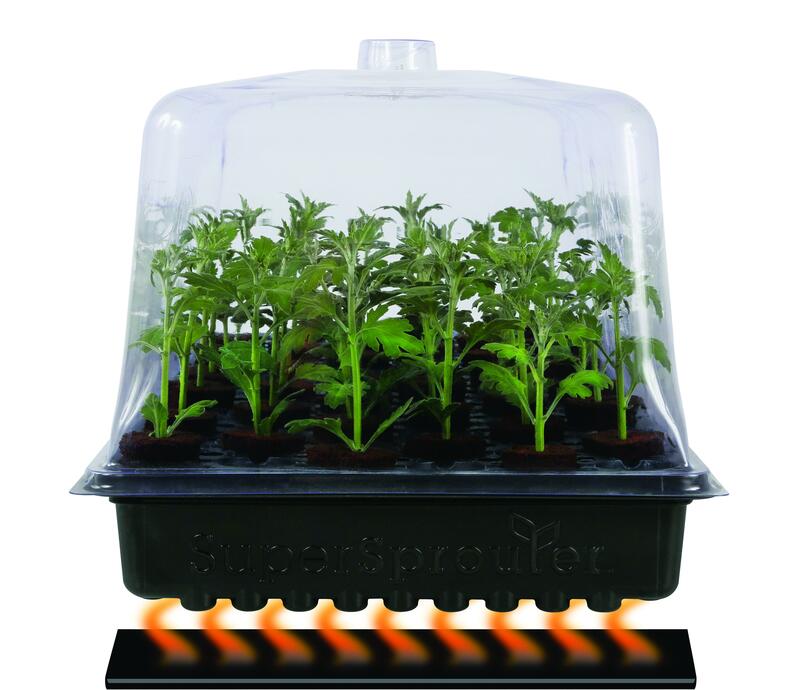 The Seedling Heat Mat is ETL listed. 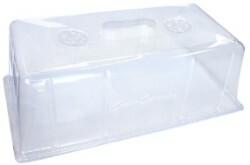 Super Sprouter Ultra Clear Vented Germination Dome 2"
Super Sprouter Ultra Clear Vented Humidity Dome 4"
Replacement Vent Cap for Super Sprouter 7" Prop Dome only (item 132861) It will not fit Super Sprouter Ultra Clear Domes or any other brand domes.